We grew Cascadia on these foundational elements and the integrity of the business decisions that tie them together. When the owner of a business decides to raise significant capital or sell it entirely, it is a life-changing event for him and it deserves our full respect. I never tire of learning new things – from others, experiences or books. It keeps a person humble and fresh. I’m naturally gregarious, so I also enjoy the personal elements of my work. It sounds trite, but I want to leave things better than I found them. In the case of Cascadia, we have worked hard to build a firm that is durable and will have a positive impact on our region and the companies we serve. I think of each mandate as a step forward for both the company and people that run them. I strive to make sure we measurably improve the shareholder value of every client we work with. Kevin leads the efforts in Healthcare and Digital Health. Having co-founded Cascadia, he has worn many hats in the firm, but has spent most of his time working in the technology group with enterprise and consumer software companies. His transaction history is split evenly between M&A sell side mandates and equity private placements. Kevin brings deep operational experience as an entrepreneur and software CEO. He currently serves on the board of the Washington Research Foundation and has served on the boards of several technology companies and industry organizations. 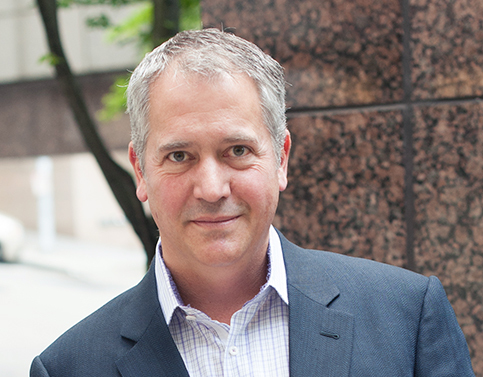 Kevin Cable is co-founder and Managing Director of Cascadia Capital. He founded the firm’s efforts in Healthcare & Digital Health drawing from a deep history in software, analytics, big data and consumer applications. He is also responsible for cultivating strategic relationships for the firm. Kevin focuses on a broad spectrum of transactions that include equity private placements, M&A mandates, recapitalizations and buyouts. Having built a career split equally between operating companies and investment banking, he brings a grounded and balanced perspective to help companies achieve their transaction goals. He maintains that “making payroll” is an experience everyone should achieve at least once in his or her life. Prior to co-founding Cascadia, Cable served 14 years on the executive teams of several technology companies, including Numera Software, which he co-founded and led as CEO. Kevin currently serves on the board of directors for the Washington Research Foundation and has formerly served as a director of the Washington Software Alliance, the Washington State Technology Alliance, the Alliance of Angels, Innovate Washington Foundation and several private technology companies. He holds a B.S. in Cell and Molecular Biology from the University of Washington. He lives in Spokane, Washington with his wife of 28 years and their two children. Co-founded Cascadia and started the firm’s Healthcare & Digital Health practice. Background as both an entrepreneur and a banker. Dyed in the wool technology and software nut. I love watching food shows. It is genius that they can make watching people cook exciting. We are also huge tennis fans and spend far too much time both on and off the court enjoying the game. Kevin is dedicated to understanding emerging trends in the Healthcare & Digital Health space and sharing his insights with clients and partners. View more resources here. What's impacting M&A activity in the Healthcare sector?